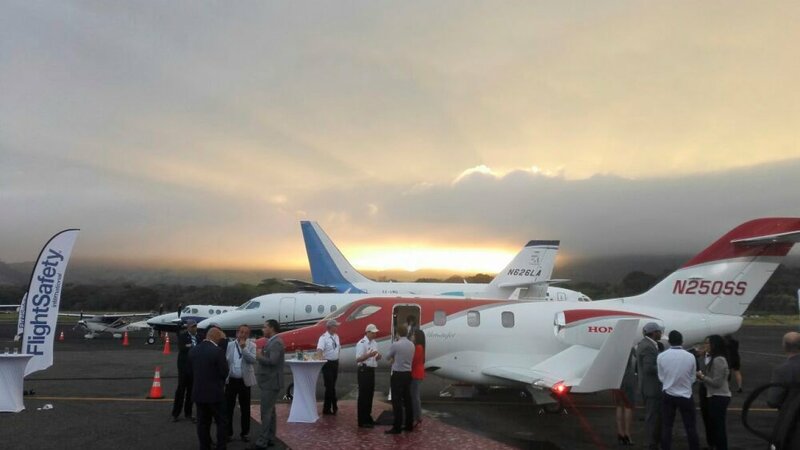 PANAMA CITY; January 26, 2017 –Aero Expo Panama (AEP) 2018, a trade fair and marketing forum exploring the latest trends of the executive aviation and rotary wing sector in Panama, Latin America and the Caribbean, is pleased to announce the confirmed participation of the following at AEP18: Dassault Falcon Jet (France), CAE INC (Canada), Avidyne (USA), Tocumen S.A (Panamá), Flight Safety (USA), Aviazión Group (Panamá), Mapiex (Panamá), Aero Radio de Panamá (Panamá), and Airpro Maintenance (Panamá). “We received confirmation from major companies to exhibit: OEM and global service providers of the Business Aviation industry, but also regional FBO and MRO. We have also sold more visitor passes than last year at the same date. This proves the interest of the industry for this type of events in the region. It reflects also the dynamism of the market: Business Aviation fleet is poised to grow at a 3,5% in the next 20 year in Latam and in the Fourth Quarter of 2017 flight activity increased a 11% in Central America,” said Yvan Boniface, AEP Organizer. AEP has established a strategic alliance with Copa Airlines, the official airline of AEP18, offering a 20% discount on economy and direct flights to expo participants (visitors and exhibitors). In addition, Bristol Boutique Hotel has partnered with AEP and is offering a nightly rate of $115 for participants of Aero Expo Panama (+10% tax). Breakfast and internet access are included. Companies participating in the conference represent major OEM, business aircraft and helicopter operators, FBO operators, MRO service providers, safety and security experts, financing companies, and sectors such as insurance, software technology, airport infrastructure, aircraft registration and other areas that affect business aviation in the region. This unique conference and exhibition is suited for exhibitors willing to promote and showcase their products and services, network with potential clients, channel distributors and partners, and enhance their knowledge about the market while meeting with regional experts. CAE is a global leader in training for the civil aviation, defense and security, and healthcare markets. Backed by a 70-year record of industry firsts, CAE continues to help define global training standards with our innovative virtual-to-live training solutions to make flying safer, maintain defense force readiness and enhance patient safety. For more information, visit www.cae.com.